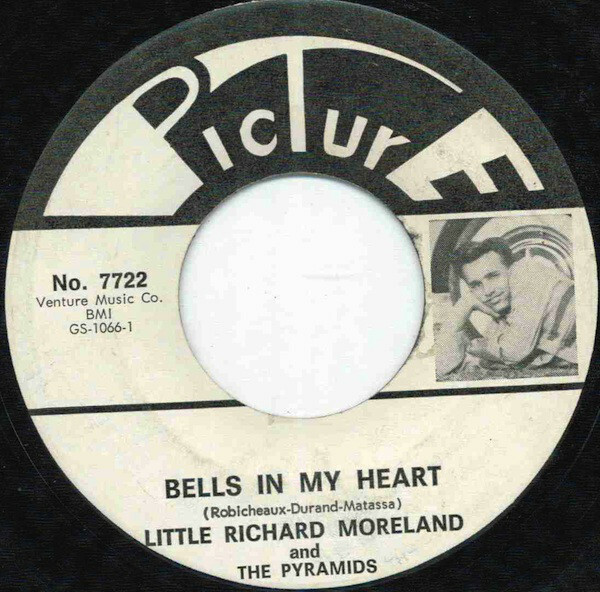 Little Richard Moreland and The Pyramids. 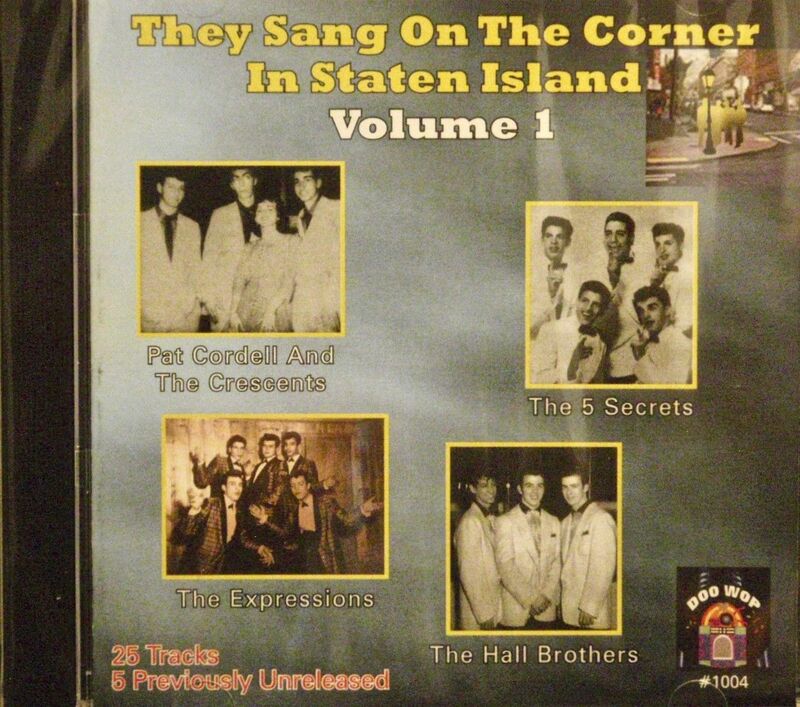 -Bells In My Heart / Mailman Blues. 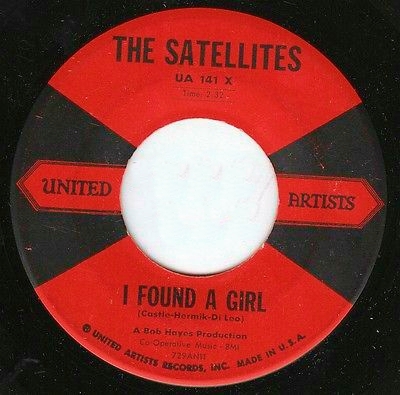 Picture records -1965 (also released on the Imperial label ). A side is a doo wop song with the Pyramids backing and B side is a rockablilly song, the doowop side label has a picture of Richard. 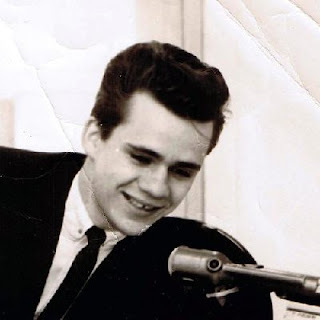 - There's Lots More Where This Came From / You Better Keep Runnin'. 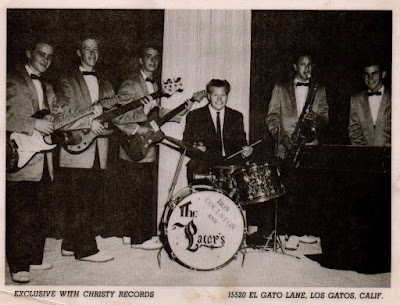 Crusade records-1961. -A-E-I-O-U / Four Lined Tennis Shoes. 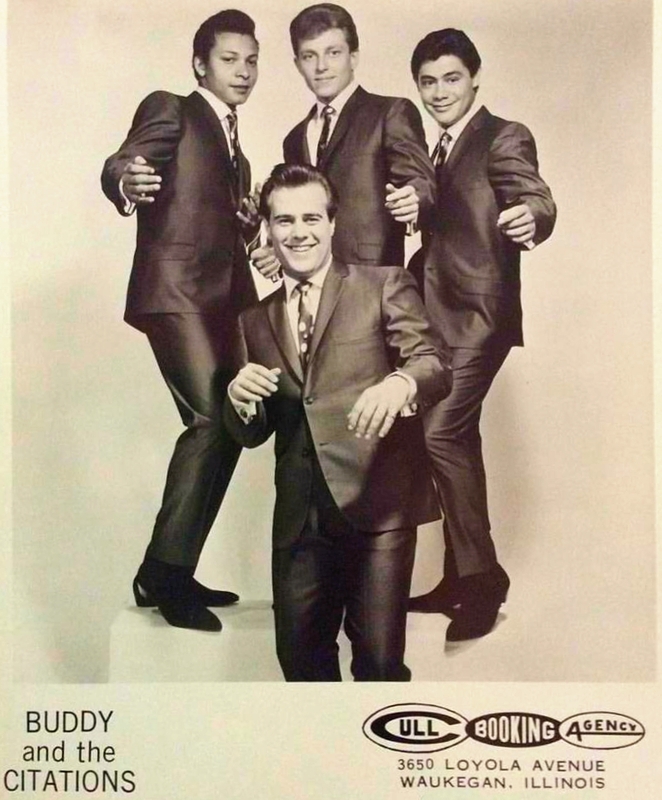 Boddie Records-?. 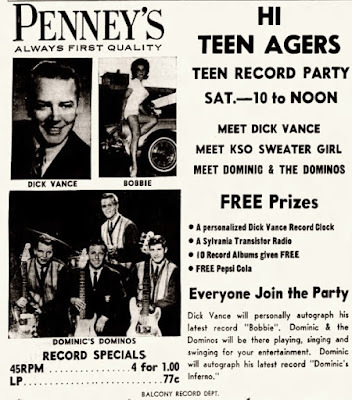 -Don't Let Her Have Her Way / Juvenile Delinquent. IRC Records-1964. (The B Side was originally recorded by Frankie Lymon & The Teenagers in 1956 for Gee Records). 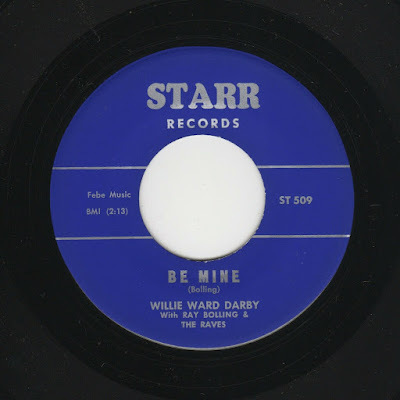 In 1958 rock & roll singer Ward Darby and his band the Raves signed with Joe Averbach of Fee Bee Records who add to Chuck Jackson (Dell Vikings) and the Five Playboys ( see in this blog) to provided the background vocals for one release in the subsidiary label Starr records with the rockin side “Iggy Joe” and the oriented doo wop side “Be Mine” under the name of WILLIE WARD DARBY. 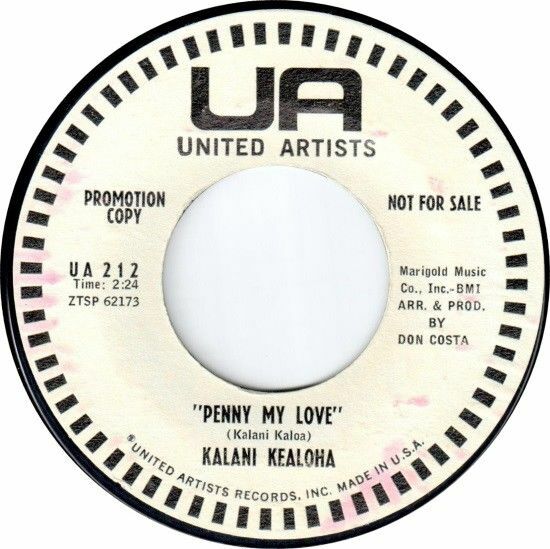 This 45 rpm is present in the Kreiter vocal group record guide. 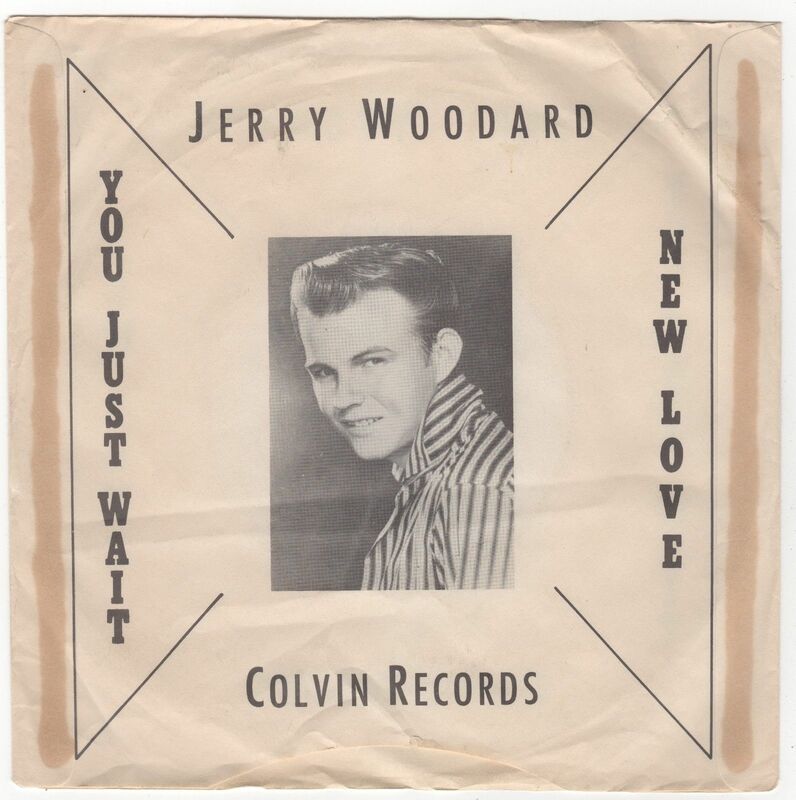 Above 45 rpm picture sleeve of Jerry Woodard from 1960 for Colvin Record with the sides "New love / You just wait". 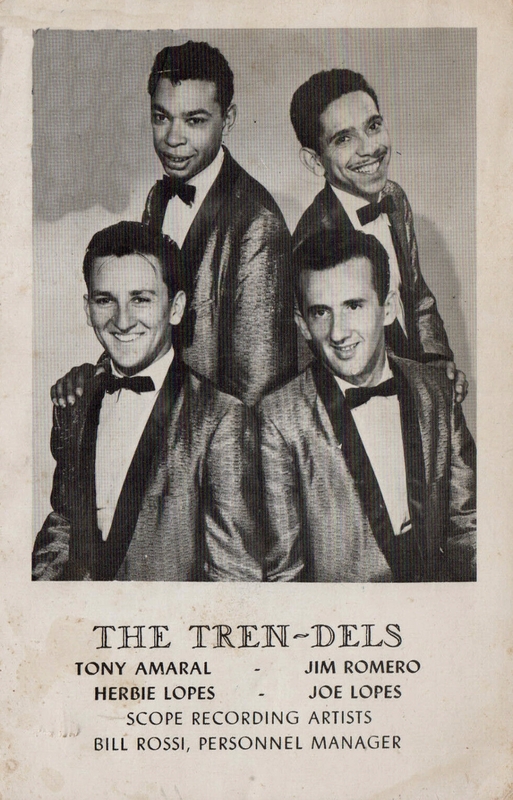 present in the Kreiter vocal group guide with a value of $ 50 but the book not mentioned this sleeve. B side " You Just Wait" re-released the same year on Century Limited records with the side "Long Tall Texan". 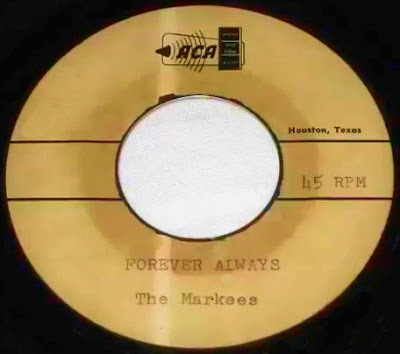 45 rpm acetate record of the Makees from Houston, Texas with the sides "Forever Always / Little Lamb Rock." A side is a doo wop ballad with an instrumental track on the B side. 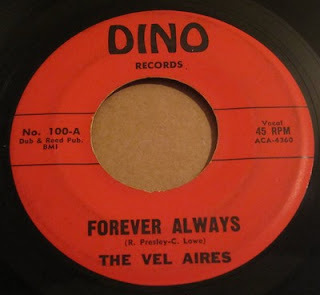 Actually they are THE VEL AIRES " from La Marque, Texas. 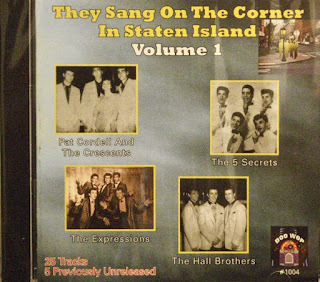 Sam Corbett, Richard Presley, Roger Stanfield, Charles Lowe, Harry Faust & Gene Ennis. In 1961 they recorded the acetate sides for Dino records. 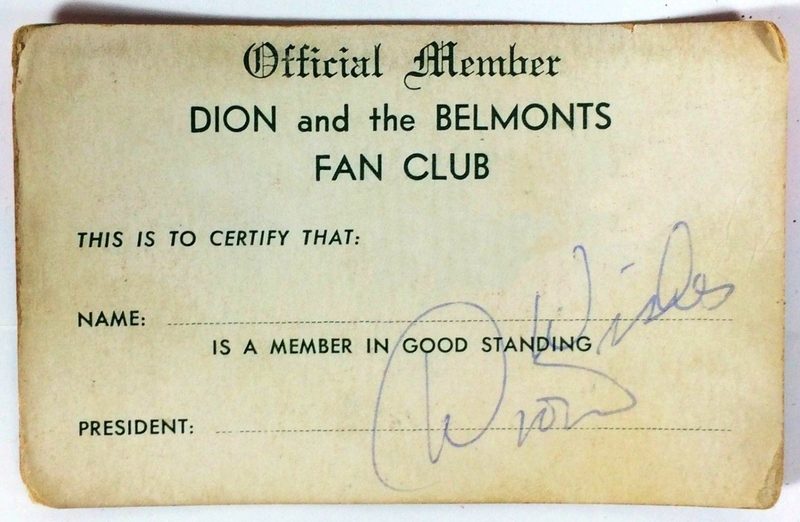 Dion & The Belmonts Fan Club card in color. 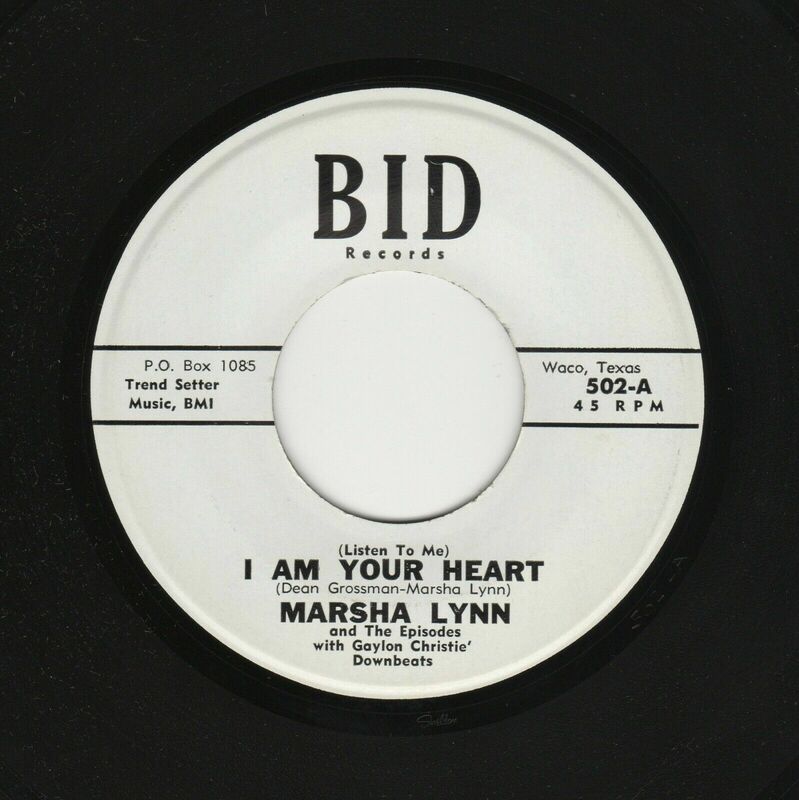 This song of Marsha Lynn and The Episodes with Gaylon Christie' Downbeats "(Listen To Me) I Am Your Heart" recorded for the Waco, Texas label Bid records in 1962 not is in any guide of doo wop, but I think it is a good candidate to be present, as it has a very good doo wop oriented sound. 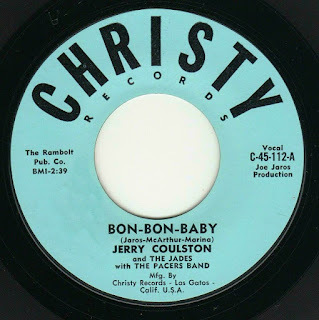 Jerry Coulston from Watsonville, California formed in 1957 the band The Pacers Jerry Coulston - Vocals, Willie Bryant - Lead Guitar, Louie Payne - Bass, Ron Coulston - Drums and Jerry Summerall - Rhythm Guitar, they signed with Christy Records who add the vocal group The Jades as backing group. Jerry Coulston and The Jades with The Pacers Band. -Bon Bon Baby / Caveman Hop-1959. 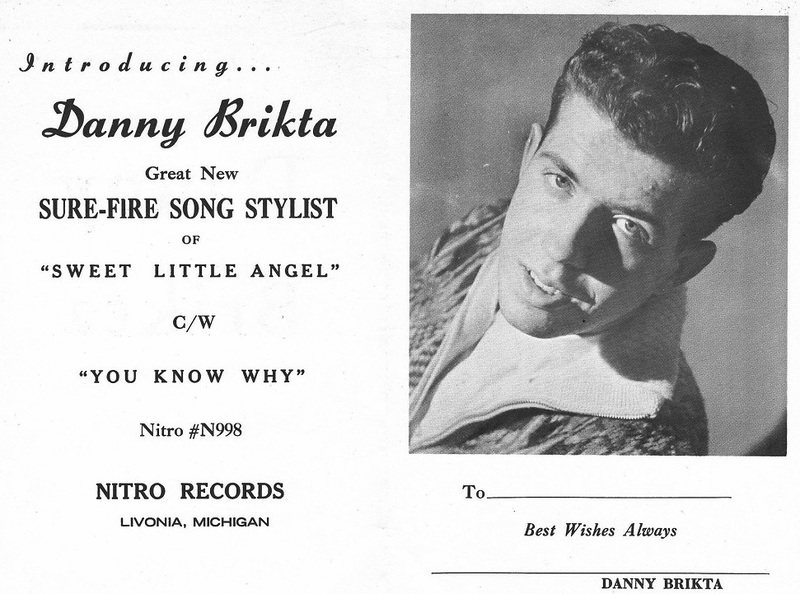 -Go Ask Your Mama / What's Your Personality-1960. 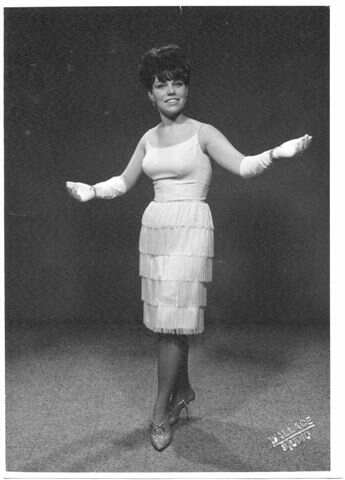 -Bon-Bon Baby / Go Ask You Mama-1960. 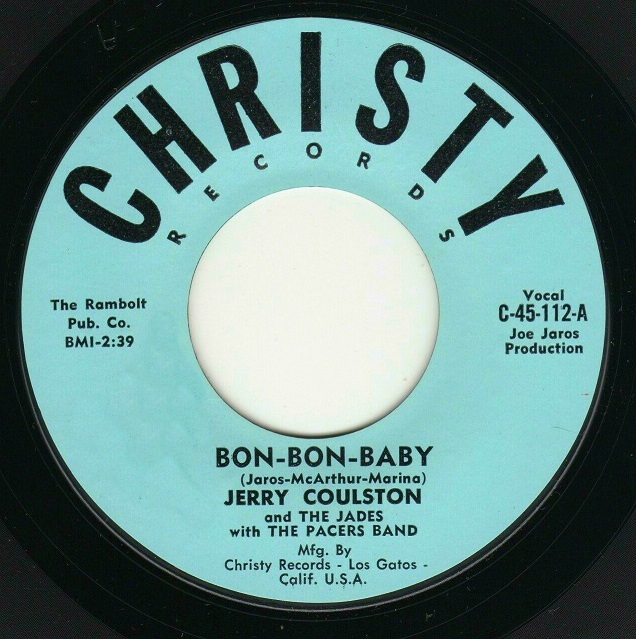 -Bon-Bon Baby / Crater Creepers-1961. 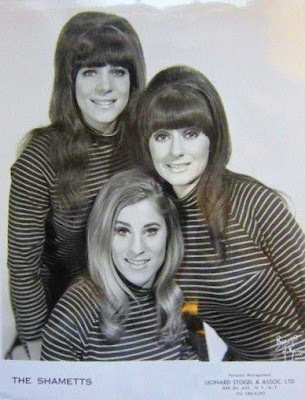 Female vocal trio, consisting of Fran Curcio, Loraine Genero and Jane Anderson. 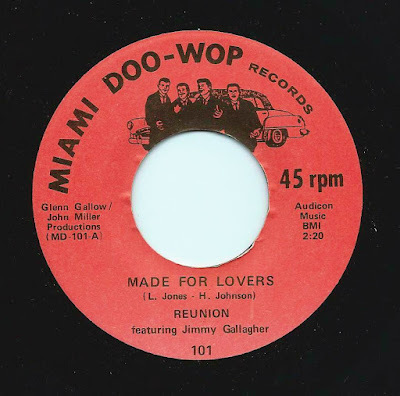 Orginally set up by to perform backing vocals for Sam the Sham & The Pharaohs, they also released a couple of 45 rpm on their own. -You're Welcome Back / He'll Come Back. MGM records-1967. 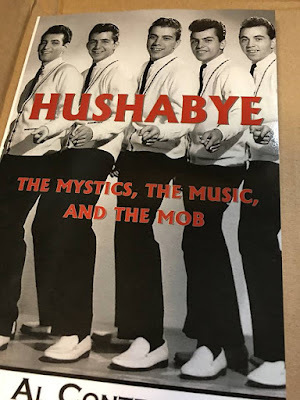 But this is another mistake of the book why they don't have a doowop sound. 1960 picture sleeve of Kelani Kealoha on United Artists records Records with the sides -It Wasn't a Dream / Penny My Love. present in the Kreiter's guide with a value of $75. Click on the photo to read the biography of Kelani..
DION & THE BELMONTS LIVE PERFORMANCE PHOTOS. 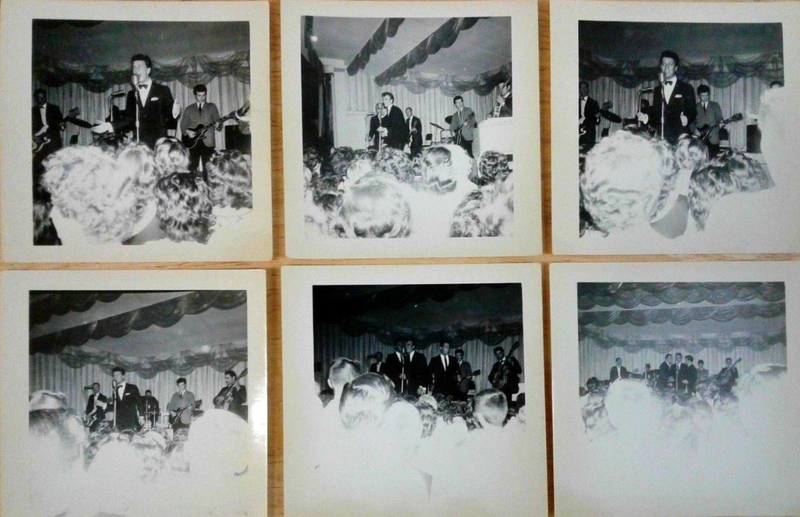 Rare Photographs of the white doo wop group Dion and The Belmonts taken at a performance in July 1961 at Lake Resort. -I Found a Girl / My Piggie´s Gotta Dance. 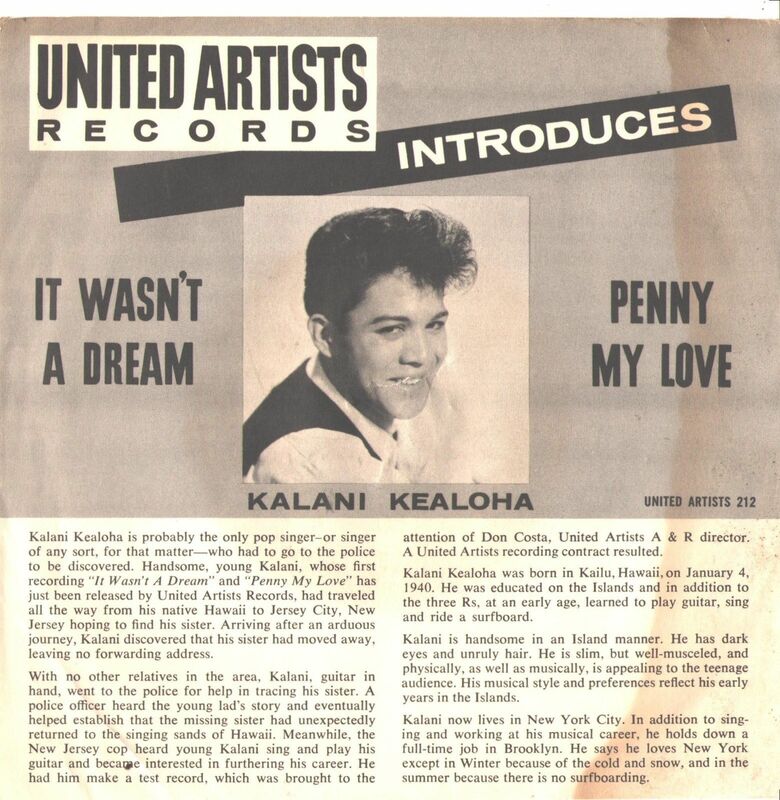 United Artists records-1958. 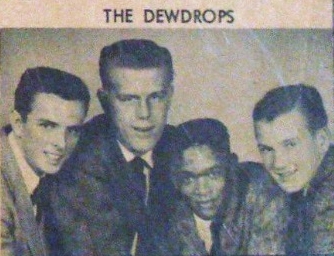 This is a rare photo of a group called THE DEWDROPS I do not have any information about them and unknow if they ever recorded any disc. If someone recognizes them or has information about them please let me know, any help will be well received. 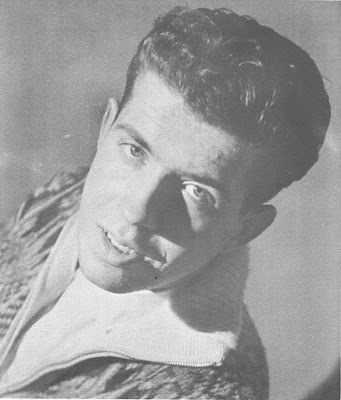 -Little Clem & The Dew Drops-Waiting in The Chapel / Plea Of Love. 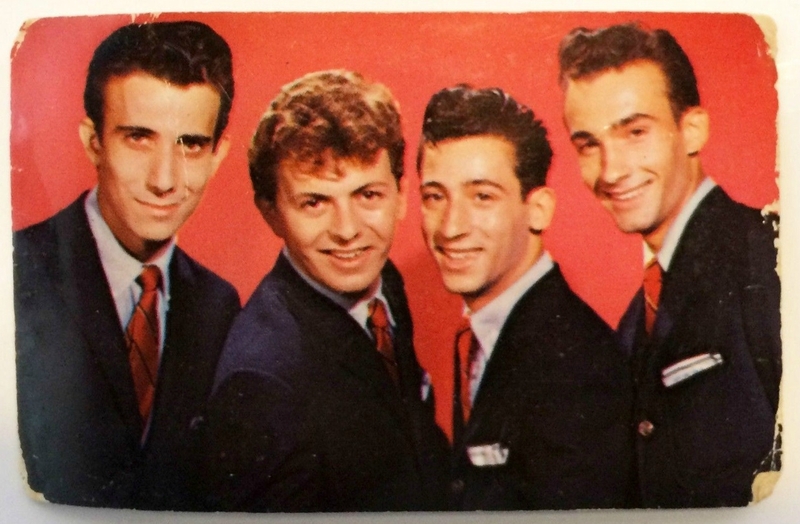 Zynn records-1958. 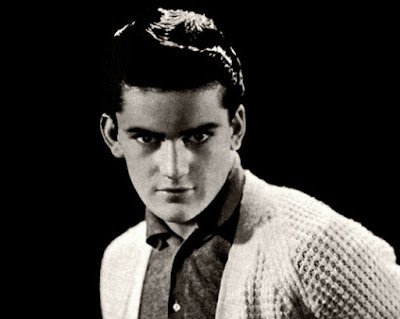 -Henry Clement & The Dew Drops - I'm So In Love With You / Please, Please Darling. Zynn records-1958. 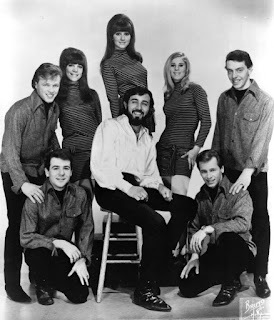 -Honey & The Dew-Drops–Come My Little Baby / Confucius Say. 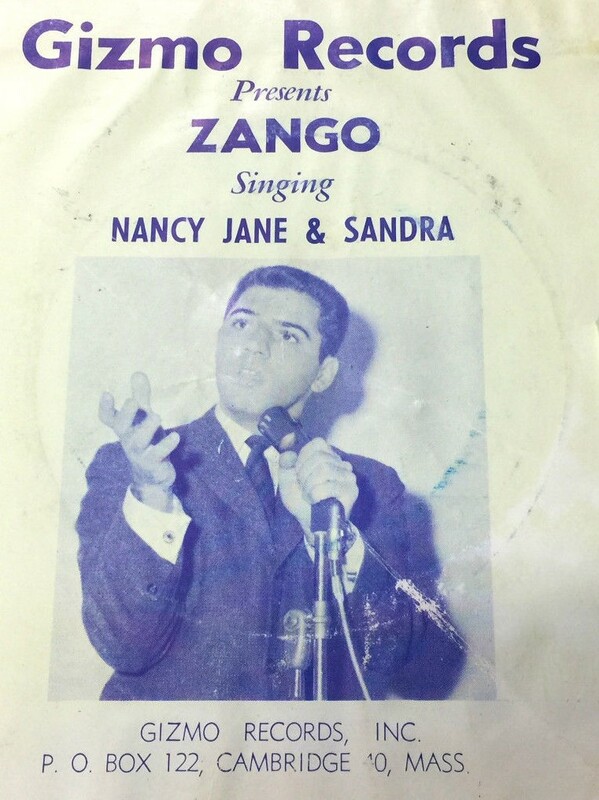 MMC records-1959. 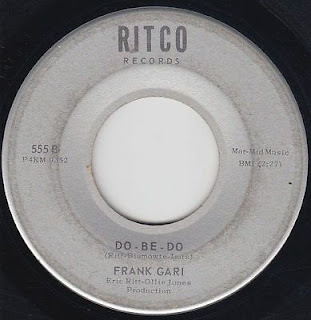 Happy to receive a notice from YouTube that one of my doo wop videos has exceeded 100.000 visits. 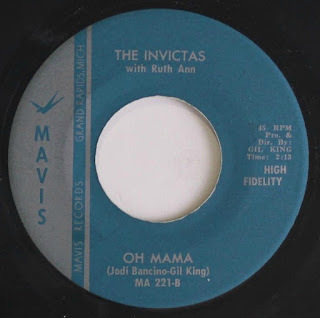 THE INVICTAS with Ruth Ann...MAVIS records. 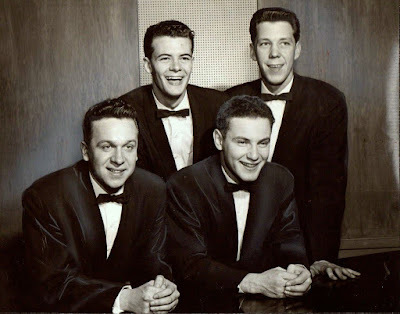 Instrumental band founded in 1962 in the Grand Rapids, Michigan área by Denny Cusan (Bass guitar), Pat Cooper (Keyboards), Doug Inman (Drums) and Craig King (Guitar). 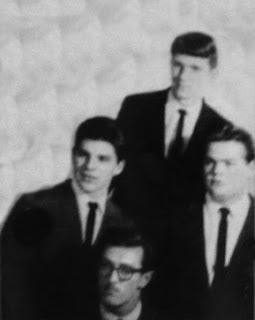 in 1963 picked up a vocalist, Ruth Ann Labinskas (Scott) and became "Ruth Ann and the Invictas", then "The Invictas with Ruth Ann", finally ending up as "Ruth Ann and the Footsteps". - I Met Him At The Dance / Oh Mama. 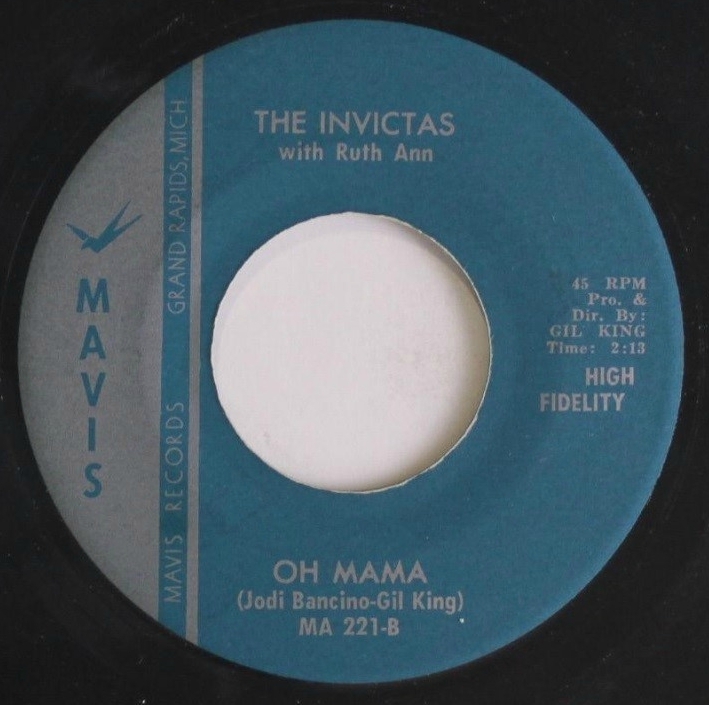 Mavis Records-1963 but listed in this book only as The Invictas. 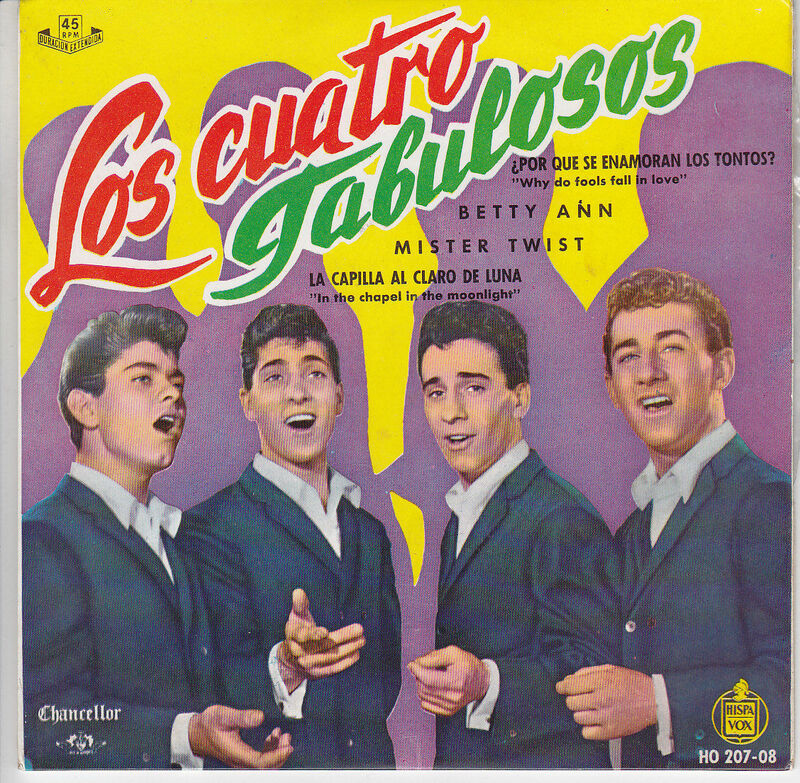 Audiodisc acetate without the name of the group. 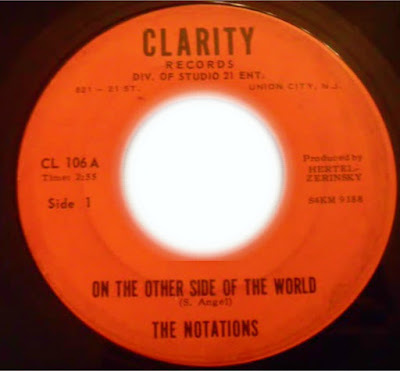 This is the Ovations song and is different from the released version. 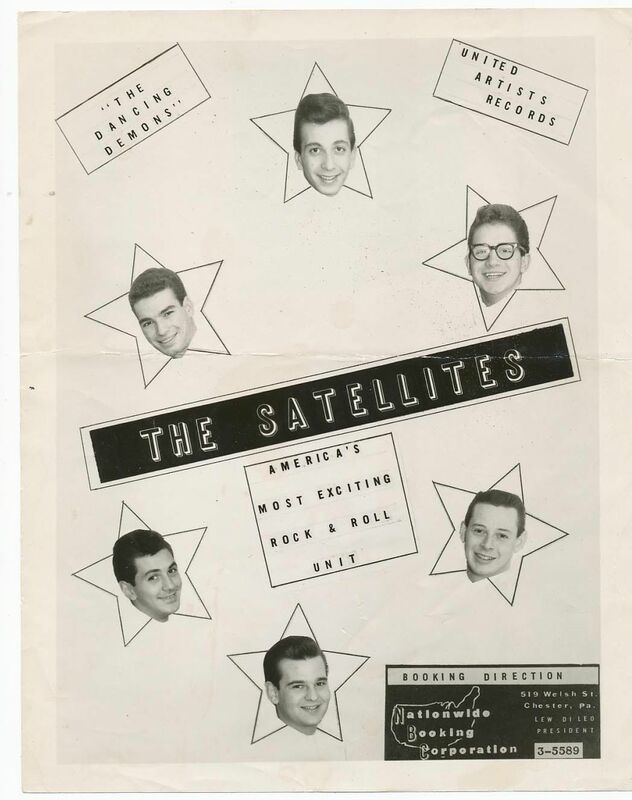 I don't know if they are the Ovations with an alternative take or a different group with a new version. 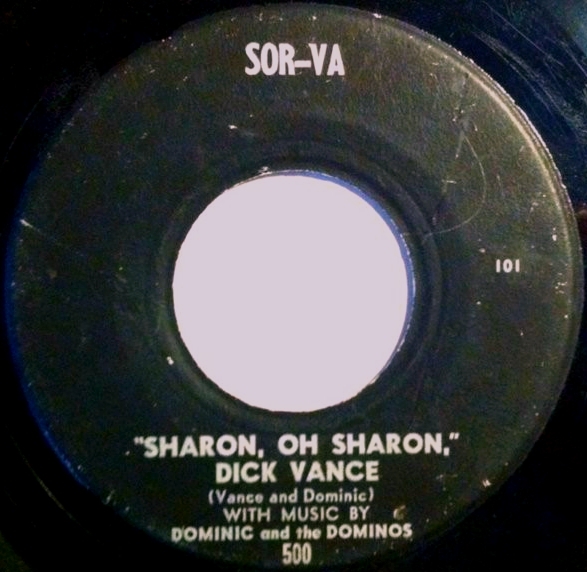 This record was recorded in Union City in mid 60s. By the Notations. A group out of Bayonne, N.J. Group founder, Joseph Riccio Lead Singer, Tommy Zenda. Second tenor, George Tiny Slavoaka Bass and Ralph Feuker. First tenor. -On the other side of the world / I just want to know. 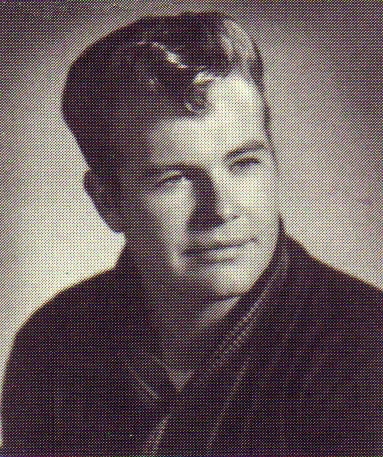 196?. Actually this record was released in the mid 60's (Vietnam era). They have another record in Clarity records don't present in the doo wop guides. 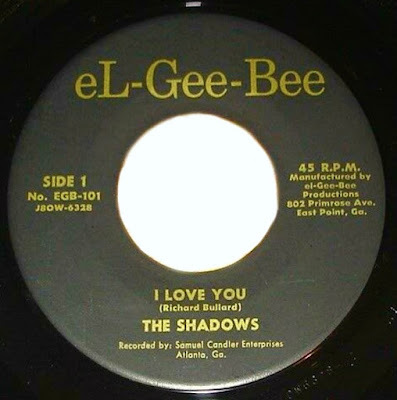 The Shadows 45 on El-Gee-Bee # 101 from 1958 out of Atlanta Georgia with the sides "I Love You / Looly Lou. 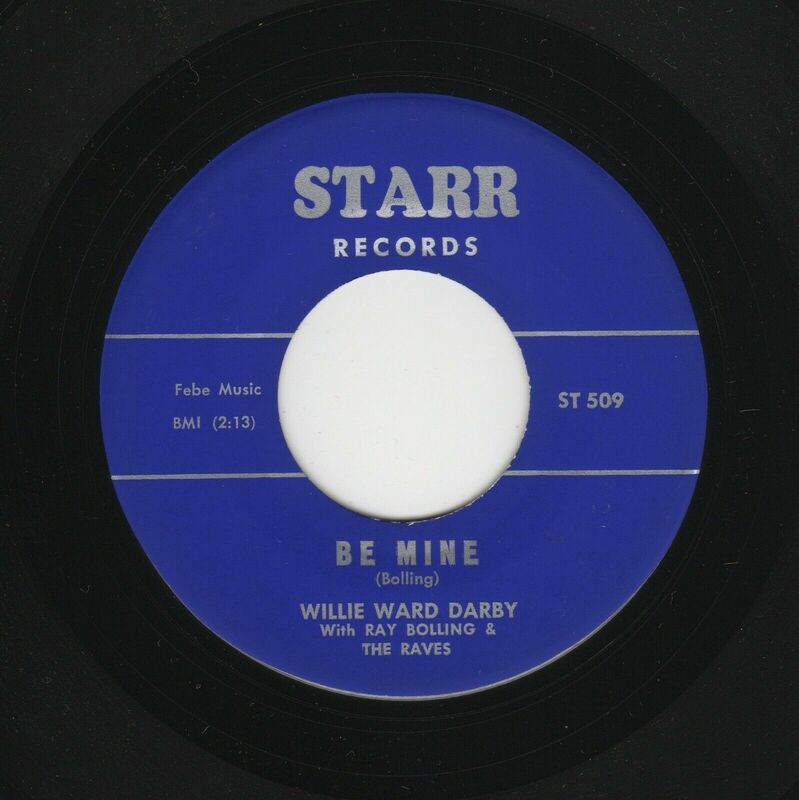 This 45 rpm is present in the Jeff Kreiter guide with a value of $500. 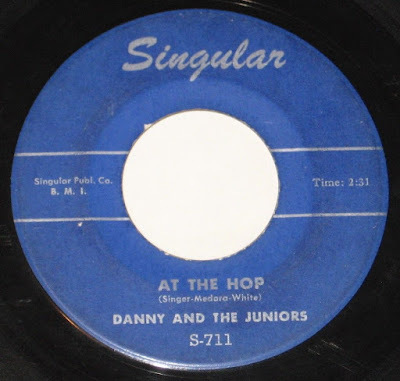 The classic "At the hop" here with the rare intro appeared in the second release of this doo wop record in Singular records. Superb ITEM!! 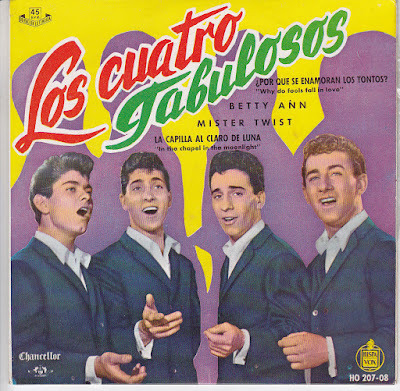 The ULTRA RARE spanish EP by the The FABULOUS FOUR released in the early 60's with a brilliant picture sleeve. Super rare, almost impossible to find. 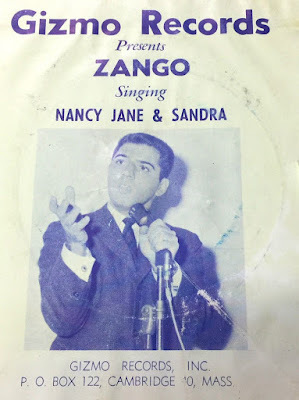 Original!!! 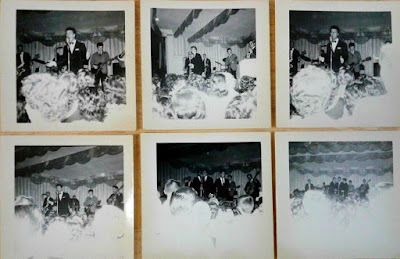 Not a boot or later pressing!!!! 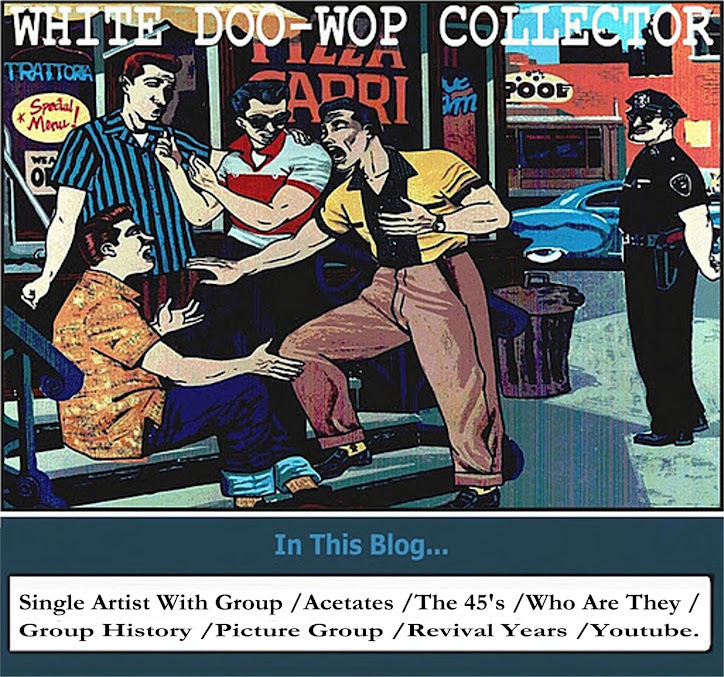 Two other interesting compilations for the doo wop fans with many white groups. -Nancy Jane / Sandra. 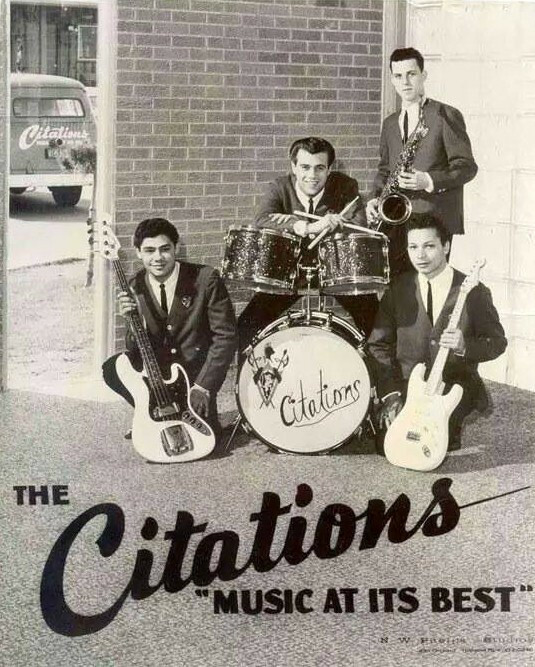 Gizmo records-1961. 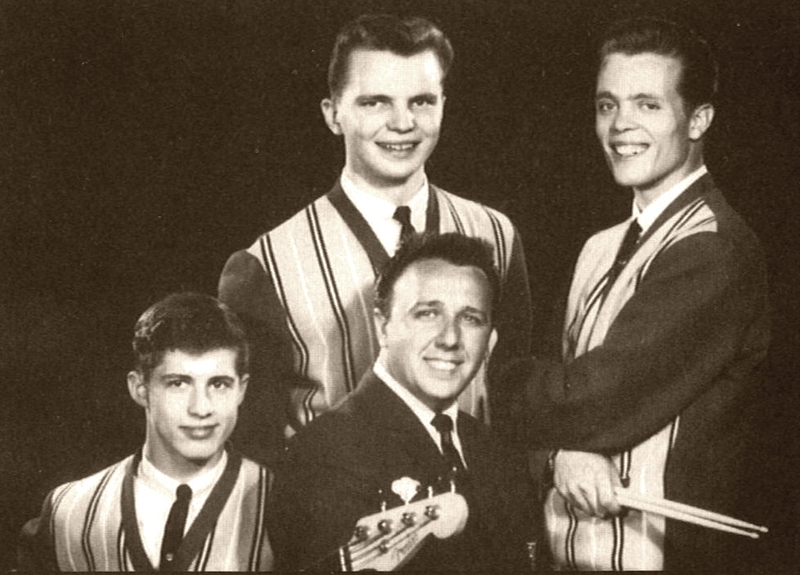 Little known photo of the Diamonds dated at the end of 1955 when they began their musical career. Johnny Deerfield with Bob White and The Del-Ites. JOEY PATRICK - Guy Without a Girl. DEWEY STONE - A NEW LOVE. UNKNOW TEEN DOO WOP ACETATE. 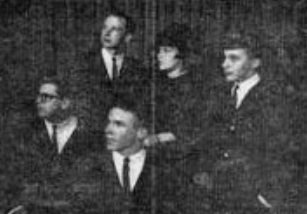 JACKIE WHITLEY and The Red Coats. 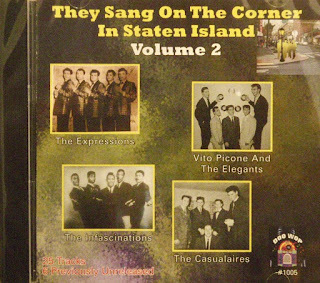 WHITE VOCAL GROUP - The Epics.